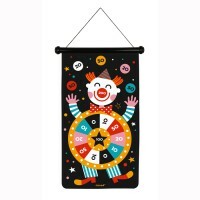 The Janod Garden Magnetic Dart Game has a large double sided magnetic fabric print with different images on each side. 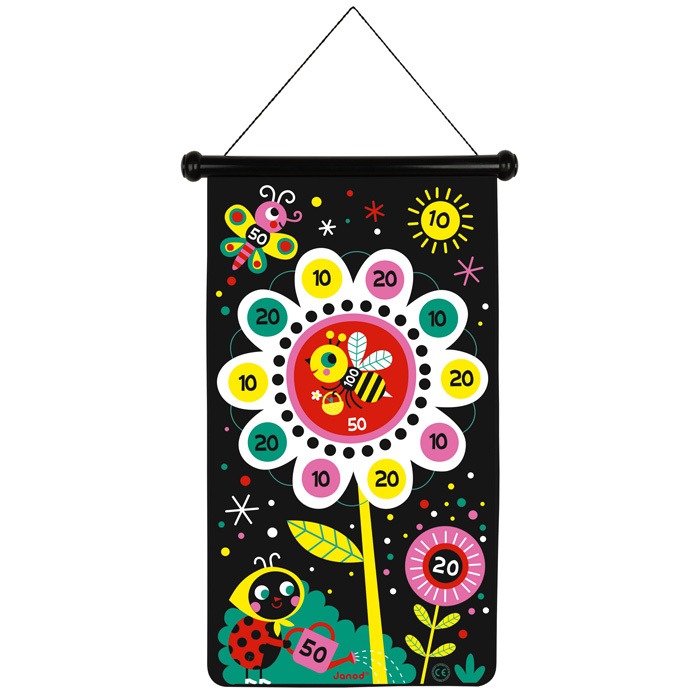 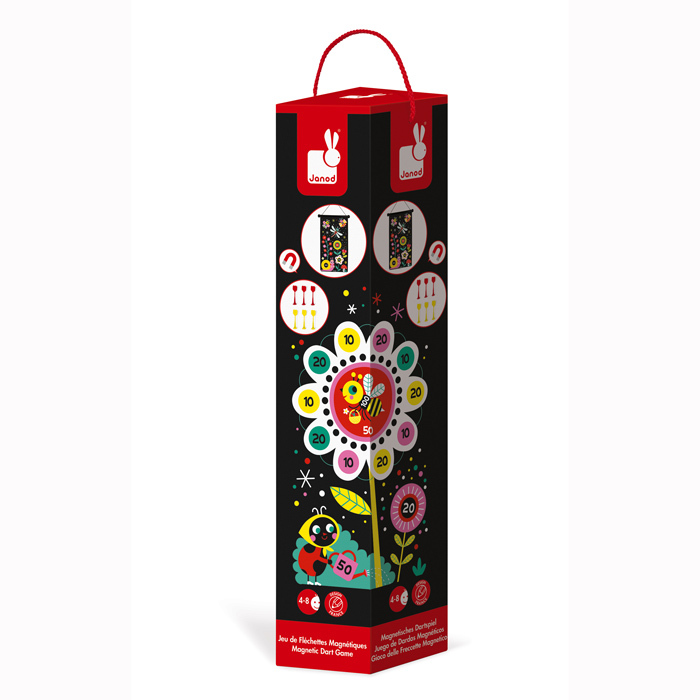 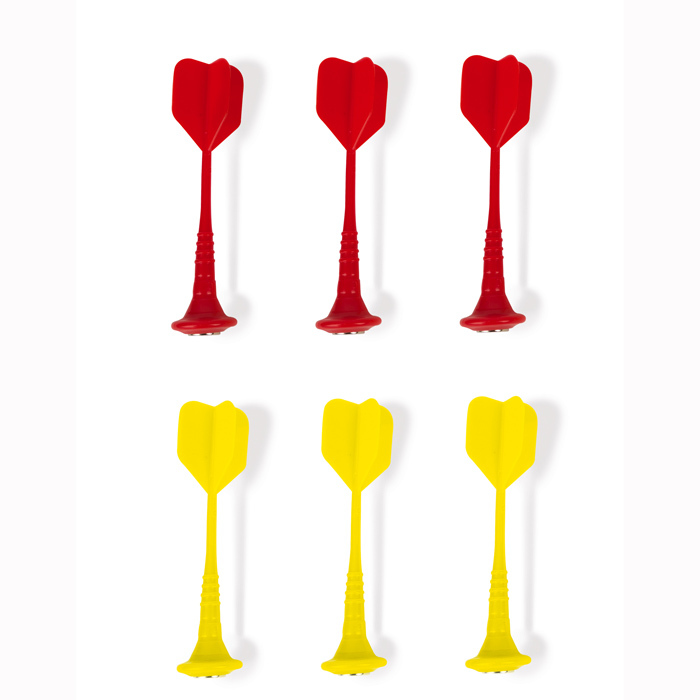 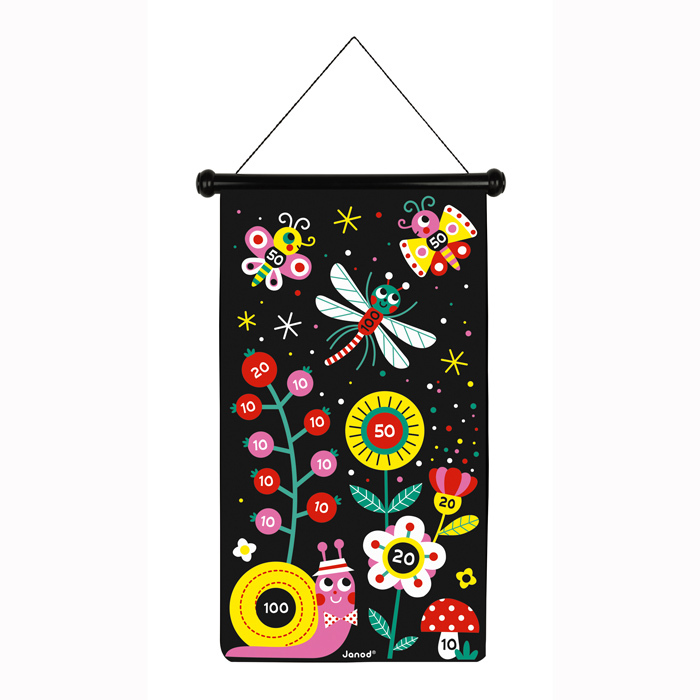 Choose from the ladybird tending her flower or the snail and his insect friends and take aim with one of the 6 magnetic darts, 3 red and 3 yellow. 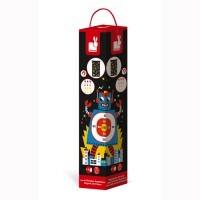 Play against your friends to see who can win with the most points! 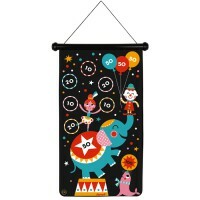 The chart can be hung almost anywhere with the attached rope or even put on the fridge, and when you're done playing, just roll it up and store it away in the sturdy cardboard box. 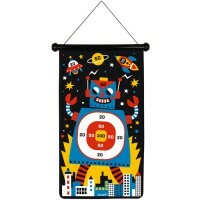 A fantastic birthday game alternative to pin the tail on the donkey, the Janod version of a magnetic dart game is definitely the one to have!